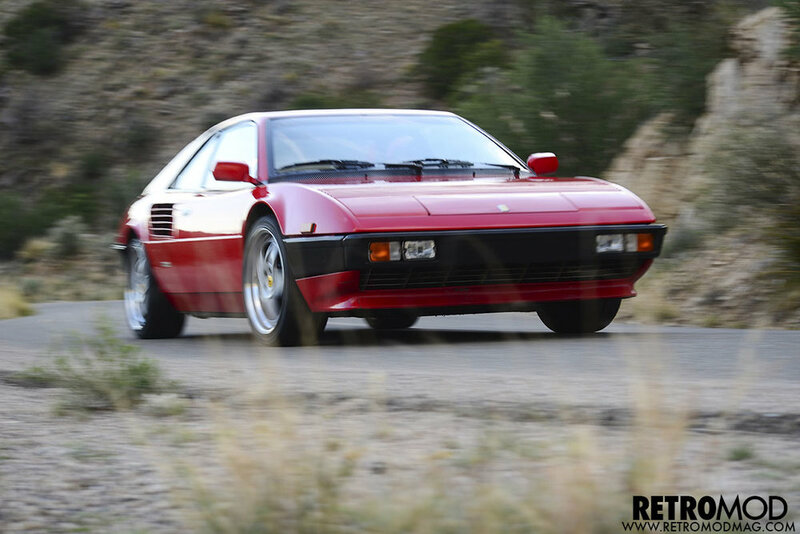 Project Overview: This Mondial 8 was converted into a 358RR as a Carobu development vehicle to show what great improvements could be made to the Mondial, which is one of Ferrari's most underappreciated models. In addition to enlarging the engine to 3.5-liter Razzo Rosso specification, we upgraded the wheels to larger diameter and wide 17-inch Razzo Rosso alloy wheels. The rest of the chassis was improved with adjustable Koni coilovers and larger Brembo brakes. The result was a fast, fun and vastly improved driving experience. Scroll down below the spec list to read a detailed story on building this Mondial. Induction: Bosch CIS fuel injection, modified fuel curve, intake plenum modified for better flow, stock air filter. Wheels: 17x8-inch front and 17x9-inch rear Razzo Rosso 3-piece alloys. Scroll down for the whole story and more photos on our Mondial project. 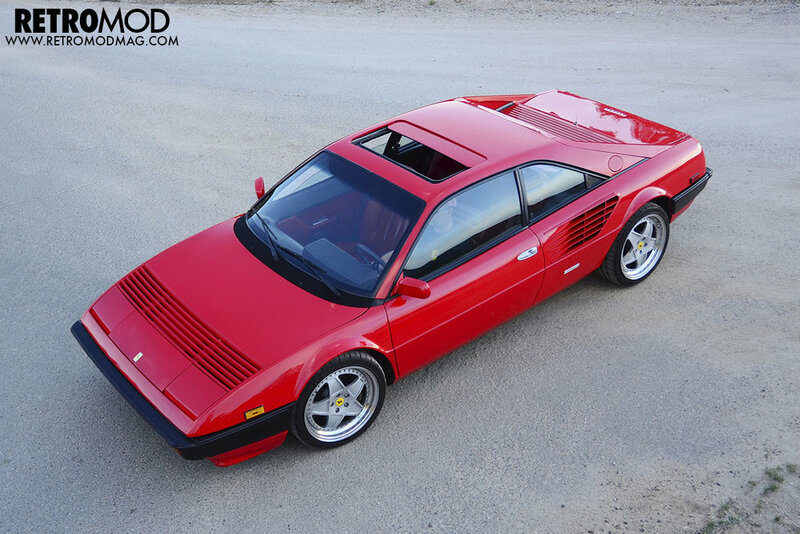 This project was a complete Razzo Rosso 358RR conversion on a 1982 Mondial 8 coupe. In the process, we developed a set of larger 18-inch wheels, a big brake upgrade, an adjustable coilover suspension and a special 2-valve version of the famous Razzo Rosso 358RR engine. The target was to create a well developed tuner version of the Mondial 8. Some might say "why pick the slowest and heaviest of all the 308 derivative models?" The answer lies in the question. 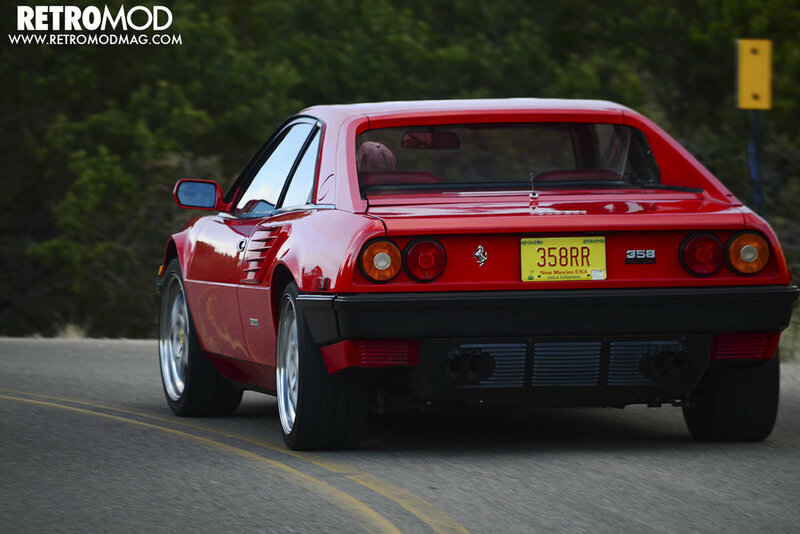 Because the Mondial 8 is known as one of the lesser of the 308 line, what better model to focus on for this conversion? More power and speed is usually better, and the Mondial's longer wheelbase compared to a 308 gives them more balanced handling. When the Ferrari first arrived, it wasn't running very well and was smoking as it was driven off of the transporter, which was later traced to an oil leak. Other than being dirty though, it looked good. As this was a long distance transaction that had relied on other people's eyes, the overall result was good. There were a few problems, including a driver's side window stuck in the down position and a warm-up regulator stuck on full rich. The oil leak was traced to the valve covers and the distributors. These were not a big concern as the motor was going to be fully rebuilt into a 3.5-liter. The interior was relatively intact and all of the normal switches seemed to work. The red seats had evidence of some re-dying but were overall in good condition. Overall, this was a perfect base from which to begin building a faster, sharper Mondial. We limited the changes to mechanical, leaving the bodywork and interior as they left the factory. Once we removed the engine from the Mondial, we began the process of rebuilding the engine into a larger displacement 3.5-liter version. The block was machined to accept special 360 Modena style cylinder sleeves to allow room for the larger pistons. The stock crank was replaced with a custom Razzo Rosso billet stroker crank that actuates the stock connecting rods, the latter of which are considered robust enough for the additional power and torque the bigger motor would be making. The stock rods in turn are connected to special 85-mm Razzo Rosso forged pistons with a compression ratio of 10.5:1. 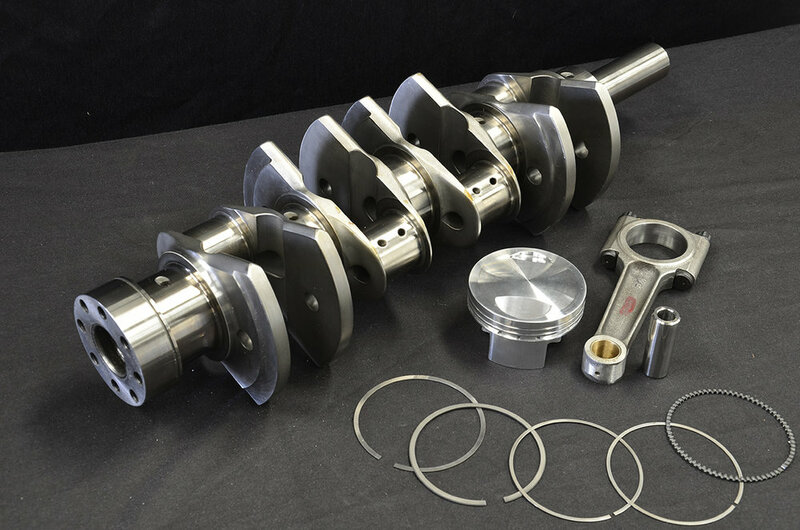 The combination of the billet stroker crank and custom pistons yielded our desired displacement of 3.5-liters. The heads were rebuilt with a performance valve job for better breathing, including the installation of larger 44-mm intake valves. The heads were also port matched to the intake manifold and exhaust manifolds. A custom set of Razzo Rosso camshafts were installed as well. Once the bottom end of the motor was completed, our engine builder Bert Wehr turned his attention to the top end of the engine. The stock CIS fuel injection was retained but was enhanced with a modified fuel curve to provide additional fuel. The intake plenum was also modified for better airflow. The stock air filter was retained. With considerably more power than the car left the factory with, we wanted to ensure that the driving experience remained balanced, controllable and fun. What that meant was better braking and handling to match the increased acceleration. The stock and worn out shocks were sent out to be rebuilt and converted to adjustable coilovers. We also installed stiffer springs for more precise handling. To improve the Mondial's braking, we replaced the stock front brakes with a big brake kit from Brembo. 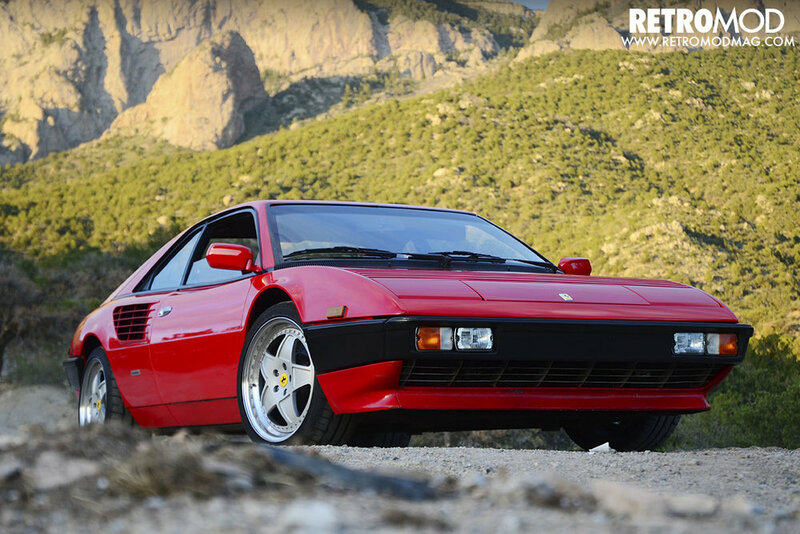 17x8-inch front and 17x9-inch rear Razzo Rosso lightweight performance alloys were installed in place of the original 14-inch wheels that the Ferrari left the factory with.